First Street Machine of Husqvarna’s New Era Coming to the U.S. in February. Husqvarna Motorcycles in late 2013, set the stage for a reunion of two halves of the original Husqvarna brand of the ’60s and ’70s era. 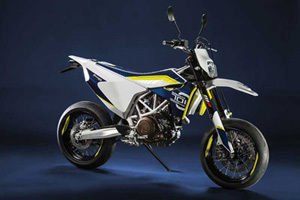 The ‘new’ Husqvarna Motorcycles brand has returned to its origins and its iconic blue, yellow and white color-scheme. For 2016, “Husky” has unveiled a new range of motorcycles including its first street bike under its new ownership with KTM – the 701 Supermoto, which is based on the KTM 690 Superduke, at least partially (or a lot like the 690 SCM-R). OEM_2015-Husqvarna-701-Supermoto-Concept2 Husqvarna’s 701 Supermoto is based loosely on the KTM 690 Superduke. Dealers in Europe are just about to get the first shipments of the 701 in November, and the U.S. market is set to follow in February of next year. Husqvarna has been one of the early pioneers of supermoto style bikes, which were originally a concept that would bring together road racing and off-road stars into one combined category for an all-star class that would then crown the one true champion. Schlager says that by having access to the latest materials and a compact engine design allowed Husqvarna to package everything more purposely around the bike. He says that the single-cylinder engine is actually more user-friendly for riders compared to other designs. The 701 boasts that its high-quality components and uncompromising engineering will provide riders with outstanding levels of agility and handling, and the package is kicked up a notch when combined with the latest engine management electronics that allow for razor-sharp throttle response and control. Husqvarna, back home under Pierer Industries AG ownership, has the knowledge and technology to squeeze the most out of the 701’s single-cylinder engine. Husqvarna, back home under Pierer Industries AG ownership, has the knowledge and technology to squeeze the most out of the 701’s single-cylinder engine. The 701 has an overall dry weight of less than 320 lbs. mated to the 67-hp engine with “wireless” ride-by-wire throttle and switchable engine maps. Riders of every level should feel confident twisting the throttle to feed power to the rear wheel. 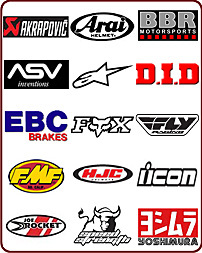 More confidence-inspiring features include a supermoto ABS that will lock the rear before the front and APTC slipper clutch to hang the rearend out like a flat track racer. If you are a fan of the Husky brand, then you may have been following the progress of the 701 from its initial concept that was unveiled at EICMA two years ago, and then a more refined version last year. Retail pricing is supposed to be in the range of $12,500.